This is a perfect beginning quilt as you go project. 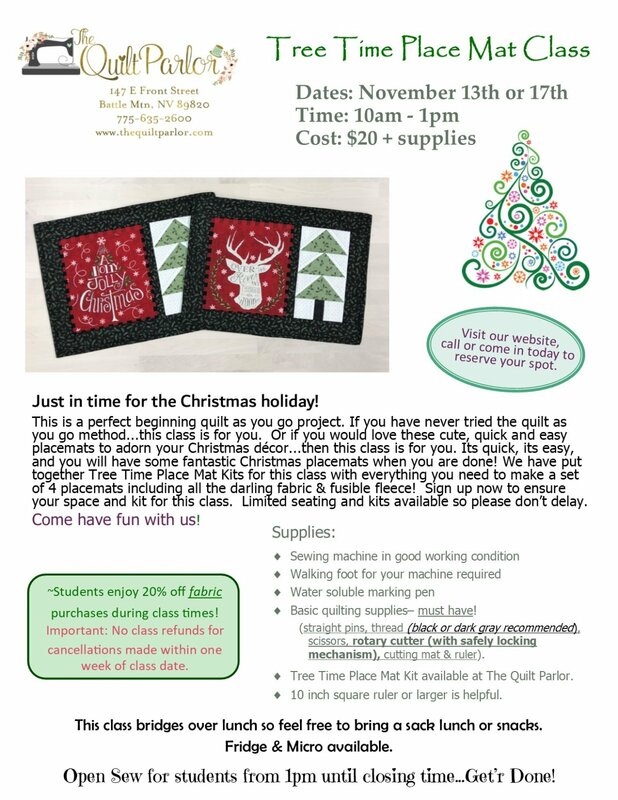 If you have never tried the quilt as you go method...this class is for you. Or if you would love these cute, quick and easy place mats to adorn your Christmas decor...then this class is for you. Its quick, its easy, and you will have some fantastic Christmas place mats when you are done! 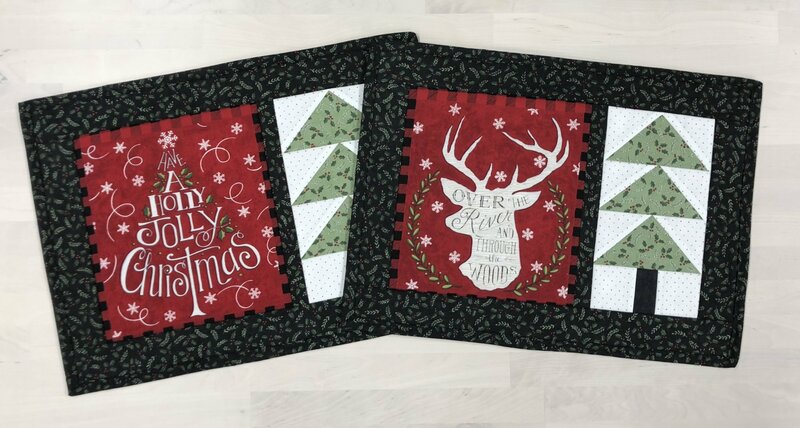 We have put together Tree Time Place Mat Kits for this class with everything you need to make a set of 4 place mats including all the darling fabric and fusible fleece! Sign up now to ensure your space and kit for this class. Limited seating and kits available so please don't delay. Click here for downloadable/printable class flyer!